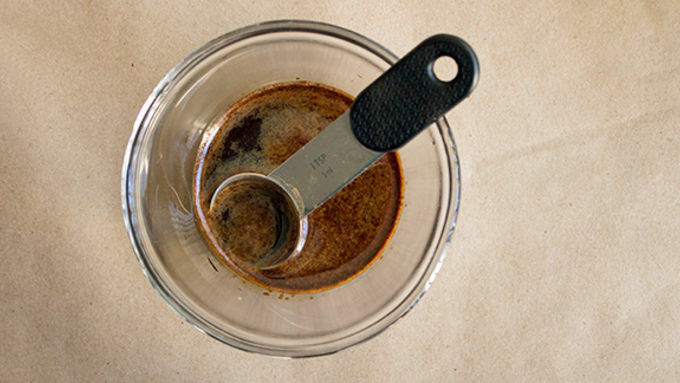 Dissolve instant espresso powder in the 2 tablespoons warm water, then combine everything except the chocolate, heavy cream, and pinch of cayenne in a large bowl and mix until combined. Bake according to the directions on the back of your bag (itll vary with size of cookies and the pan youre using) and cool on a wire rack. To make the ganache, combine heavy cream and chocolate chips in a microwave safe bowl and heat in 20 second intervals, stirring after each one, until chocolate is melted and is nice and smooth. It should take about 3 rounds of that. Add pinch of cayenne. Dip the tops of the cookies in the chocolate ganache then place back on wire rack to cool completely. Cookie season is upon us! Luckily for us, we have Betty Crocker cookie mixes. The great thing about them is that most of the prep work is done for us! It only takes a couple of ingredients to get things going, and today we’re adding a few more to amp up the cookie game. We’re going with a sweet heat flavor profile, starting off with a double chocolate cookie base and adding the power of espresso and cayenne pepper. That cayenne pepper is perfect because it doesn’t shoot fire in the mouth, but instead warms up the back of the throat just a little bit. 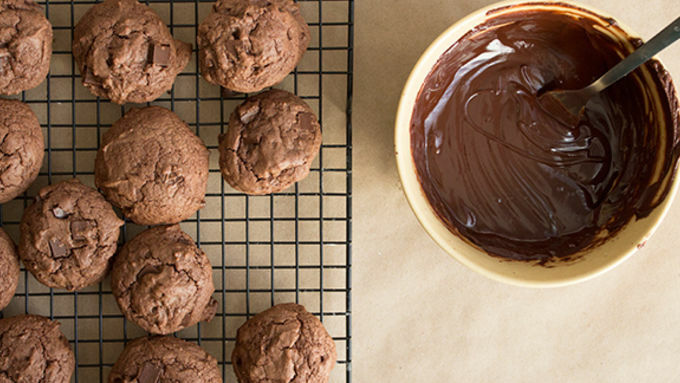 It’s a different flavor that’s perfect for your next cookie exchange! Ingredients! We start with that shining star cookie mix. We’ve got the basics for the cookie, plus some instant espresso powder, cayenne, and cinnamon here. 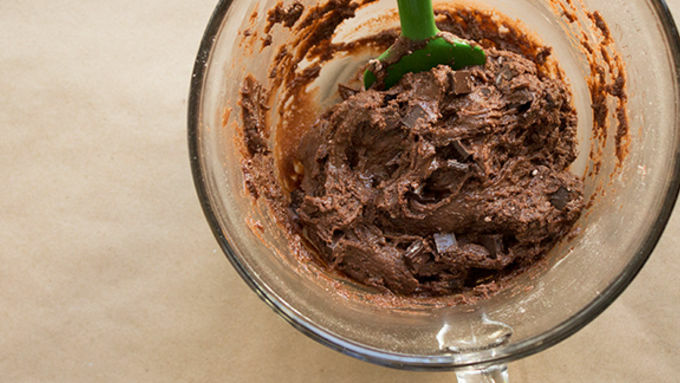 That extra chocolate and heavy cream is for a ganache that tops the cookies. 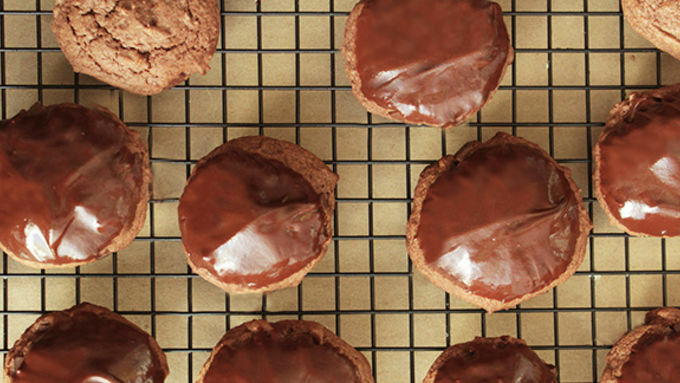 The tops of the cookies get dipped in chocolate ganache. And BOOM. 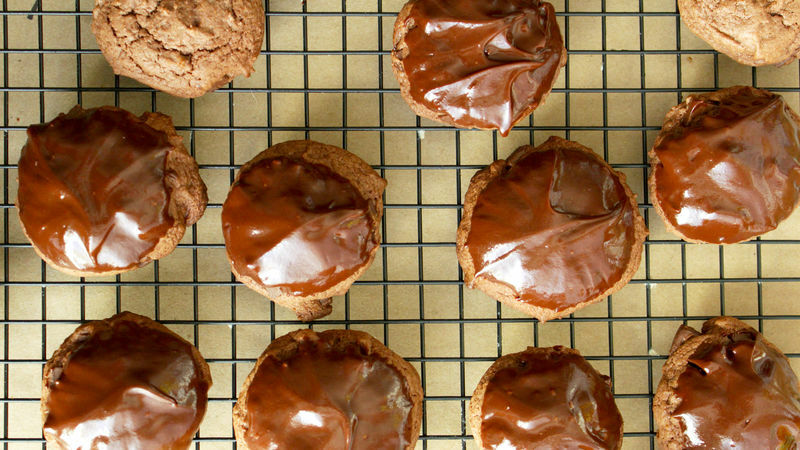 Spicy Mocha Cookies.